I had my first experience with a cordless vacuum earlier this year when I tested out the Dyson Digital Slim DC62 Animal. I’ve noticed that I’m vacuuming much more often now than ever before. 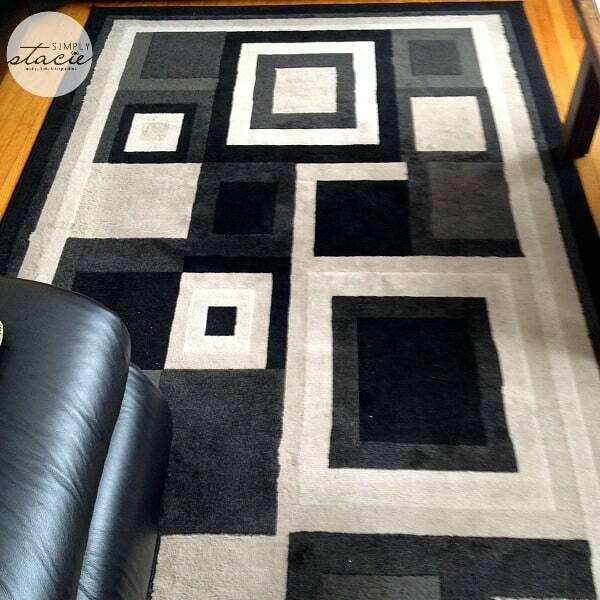 I used to put vacuuming as a chore I’d do last on my to-do list. Our previous vacuum was big and bulky and I hated lugging it up and down the stairs. I’d have to yell to John to lift it for me because it was so darn cumbersome to carry. Throw whatever you used to think about cordless vacuums out the window. 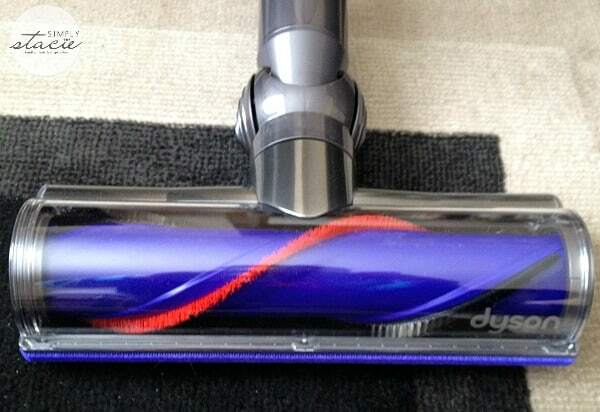 Dyson has created a vacuum that can out-clean those heavy corded vacuums like the one I used to own. The Dyson Digital Slim DC72 Animal is the newest cordless vacuum from Dyson and I was lucky enough to be able to try it out in my home. I was already familiar with cordless vacuums and was looking forward to seeing what the difference would be between the Dyson Digital Slim DC62 Animal and the Dyson Digital Slim DC 72 Animal. With Dyson, I actually feel competent putting together a vacuum. 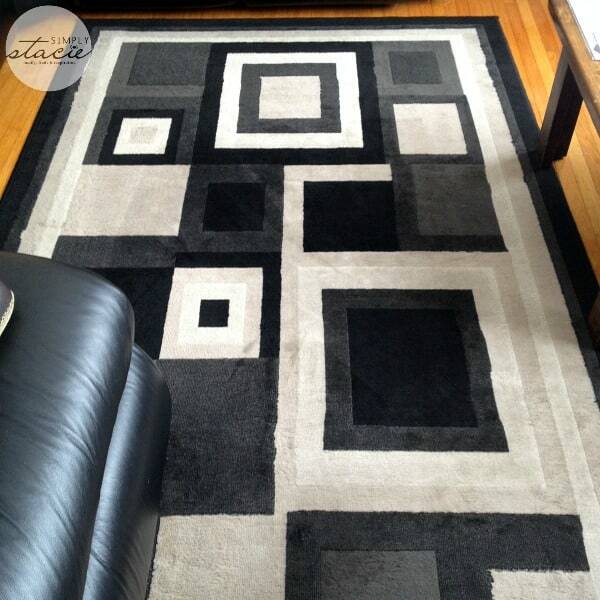 I normally struggle putting electronics, furniture or any kind of appliance together. I’ll look at the manual and then take forever figuring out what part goes where. With the Dyson Digital Slim DC72 Animal, I had it fully assembled in under a minute. It’s literally just clicking the parts together and you’re done. Simple. This picture shows all the parts unpackaged right out of the box. This one is hot pink! Included are smaller attachments so you can easily clean stairs, vehicles and in those tight nooks and crannies. I like the long slender one to clean my baseboards. The Dyson Digital Slim DC72 Animal is the first cordless machine ever to have a direct-drive motor in the cleaner head. The Dyson digital motor V6 spins at 110,000 rpm making this cordless vacuum the most powerful one out there. This vacuum is a force to be reckoned with! It also has 75% more brush bar power than the Dyson Digital Slim DC62 Animal. That is huge! With the increased brush bar bar, the Dyson Digital Slim DC72 Animal can better attack ground-in dirt and dust in your carpet. It also cleans hard floors. The bristles cover the full width so you have edge to edge cleaning. No dirt is safe with this machine! All floor performance: While the nylon bristles dig into carpets, carbon fibre filaments reduce the build-up of static charge, aiding in the capture of fine dust on hard floors. Integrated motor technology: 1.5 times more powerful than its predecessor, the Dyson digital motor V6 draws power more efficiently from the battery. Nothing is wasted. 2 Tier Radial cyclones: 15 cyclones work in parallel across two tiers to create centrifugal forces that capture the finest dust. 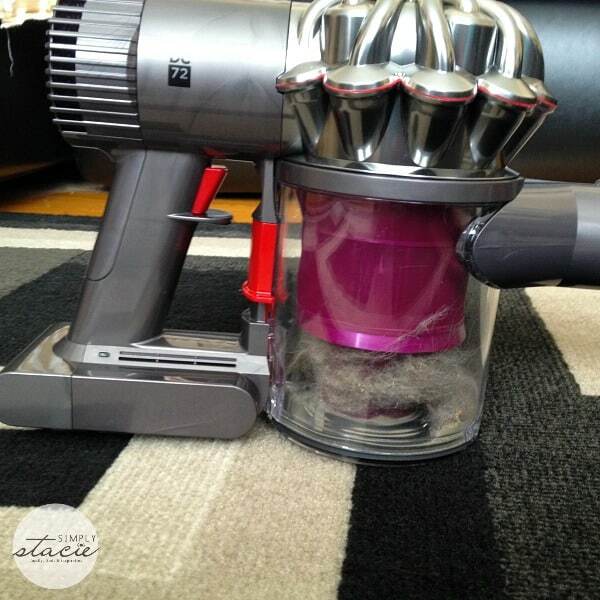 The Dyson Digital Slim DC72 Animal provides 24 minutes of fade-free cleaning time. I like that the suction power doesn’t fade as you continue to vacuum. You’ll start strong and stay strong. 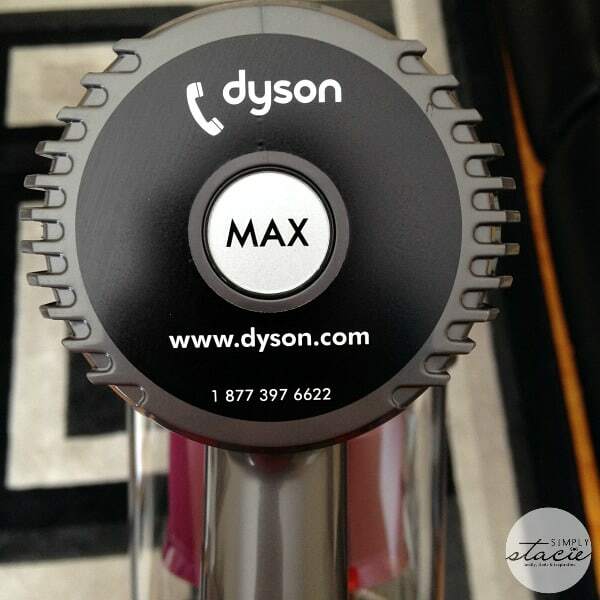 If you have a particularly tough spot to clean, click the MAX button for a boost of power. To stop, just release the trigger so you don’t waste battery power as you move from different cleaning tasks. The Dyson Digital Slim DC72 Animal weighs a mere 4.96 lbs making it lightweight and easy to handle. With the motor in the hand and not on the floor, you can quickly pick it up and move it around without any effort. I even use it to clean the dust on my ceiling fans – with one of the attachments of course! I don’t need any help getting around with this vacuum. I wanted to demonstrate just how powerful this vacuum is. I have a day’s worth of dirt on my living room carpet and an empty canister. Look and see how much it pulls up! Here is a before picture. It doesn’t look too bad right? It looks like it needs just a quick freshening up. Here is the after photo. I think it looks much better. And the dirt – ugh! Look at how much it picked up! The carpet didn’t look that dirty, but I guess it must have been. Eek! There is no bags to buy or change. Just open the hygenic bin over a garbage to release the dirt. It comes with a wall mounted docking station. Hang it near an electrical outlet so you can store it and keep it charged. I’m waiting on the electrician to install more outlets in our home and then I’m finding it a permanent home. I like the idea of the wall mounted docking station since it won’t take up much room to store. The Dyson Digital Slim DC72 Animal is priced at $599.99 and comes with a two year parts and labour warranty. I know a few people who would LOVE to receive one of these under the Christmas tree this year. My sister has been throwing out hints for months! What is your favourite feature of the Dyson Digital Slim DC72 Animal? Connect with Dyson on Twitter, Pinterest and Facebook. You can also hear all about the Dyson Digital Slim™ DC72 Animal from the Dyson engineers themselves at tomorrow’s #CutTheCord Twitter Party! 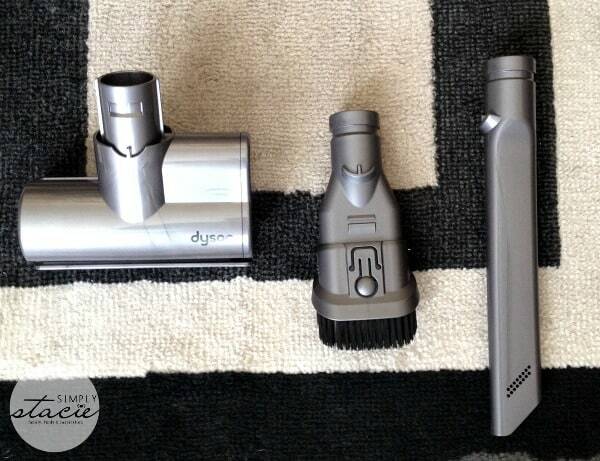 We’ll be giving away 5 Dyson Digital Slim™ DC72 Animal vacuums. Don’t miss it! How light it is! I’m tired of lugging around a heavy vacuum! 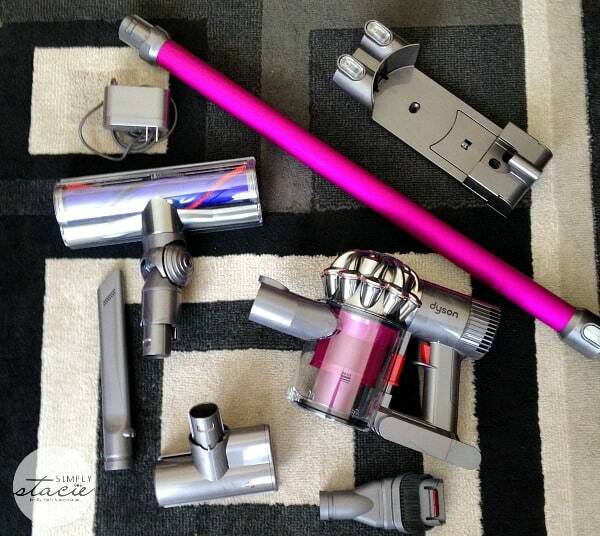 My sister has a Dyson and they are great, on my list to buy! 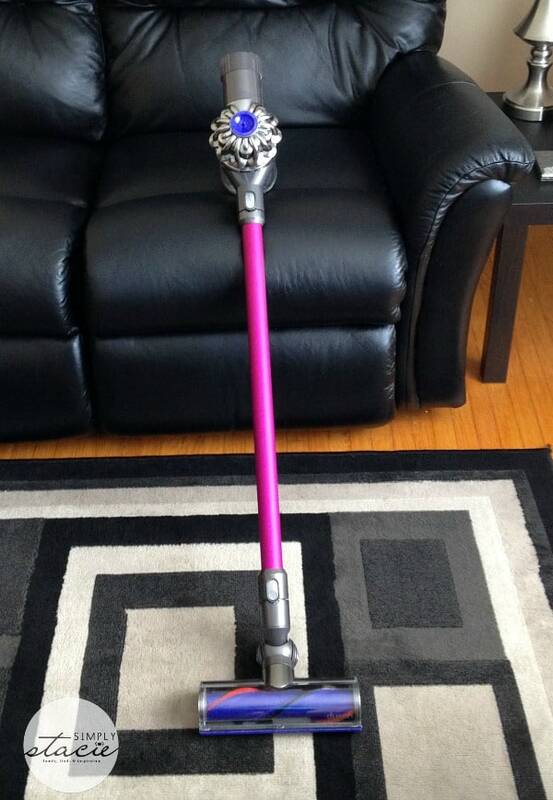 We have a Dyson and love it so, so, so much! Ever since we bought our stand vacuum, I’ve had my eye on Dyson’s Animal, so this is super relevant to me (: I love how hygienic the waste disposal is, and you honestly cannot get a more powerful vacuum! Plus, it’s pink!! Wow…even our vacuums are going digital. 🙂 I like how small and powerful this is. The fact that it’s cordless and still that powerful is great. 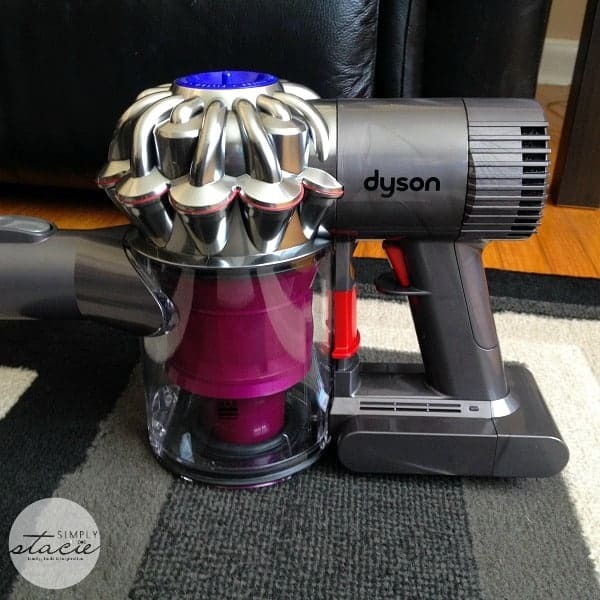 Wow, I’ve never had a cordless vacuum before but definitely would love a Dyson for my first! I love the pink rod! I’m definitely asking for one of these this Christmas! I love how non-bulky and lightweight it looks! cordless!! My house is 164 years old 2 floors with almost no power outlets, so this would be the answer! Wow, this looks so handy–I would like to get one for myself! This sounds like a really great vacuum, when I first looked at the photo above I thought it was a paint sprayer. My favorite feature of the Dyson Digital Slim™ DC72 Animal is that it’s cordless and it provides 24 minutes of fade-free cleaning time. I have never used a cordless vacuum before, I would really love to try this one. I love that you aren’t dragging a cord around with you. My daughter has one and it’s so light and easy to use. I have been researching these Dyson Animal vacuum’s for a while and I’m hoping for one for Christmas. We have a dog that sheds and need a stronger vacuum to pick up the hair. I love that it’s cordless. This write-up review really gives us something to think about. Our present one is so damned bulky, we have been considering getting us something more light-weight and your review just might have twisted our arm some. I don’t like the sound of a whining vaccuum, getting tangled in the chord and hose, tripping over the hose, wrapping myself up in the hose. A gong show for sure. I dreaded vaccuuming but I have 2 large dogs. I just purchased the DC72. Blood pressure has decreased and the house is a lot cleaner. 3 – 4 times a week. I like that the battery runs out of power about the same time I do. This is a real god send. I love the cool hot pink ! I am hoping one day to own a Dyson.